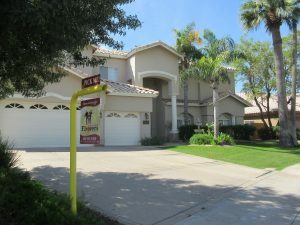 Drive around any community in the East Valley and you’ll notice there aren’t many homes for sale. According to the National Association of Realtors, there has been a steady decline in inventory for almost 3 years, and they’re expecting low inventory to continue throughout 2018. They hope new home builders will bring about change in the decline in available homes and help meet the demand of new buyers. As of fall 2017, more than half of the homes for sale were in higher price ranges and not realistic for first time home buyers. For most buyers, especially those purchasing higher-priced homes, they use the profit from their prior sale as a down payment on their new home; however, for first time home buyers, they don’t typically have that cash reserve and need starter homes that are less expensive. 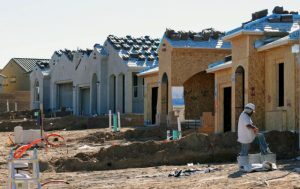 According to the chief economist at Redfin, builders are opting to design and build communities that are geared toward larger, more expensive homes and not first-time home buyers. Just because there are less homes on the market, does not mean there are less buyers. 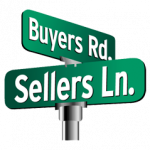 Buyers need a competitive edge to make their offer that much stronger. The first step a buyer can take it so talk to a mortgage lender to understand their options. Things to consider are what type of loan makes sense for you and how much you’ll be putting down on the home. Once you are prequalified, your Realtor can help you not only find the right house, but they can help you write a strong offer that will help you come out on top. Cindy Flowers, a Realtor with Keller Williams Integrity First Realty, said “We have proven techniques to help you win the bidding war”. There is no denying that some homes are receiving multiple offers, even above asking price, and buyers need to understand how to write an offer that competes with the best of them. For Cindy, the best way she can help buyers (and sellers) is to market her new listings to her buyers first. She knows how important finding the right home is, and she wants to give her buyers first chance at a listing. “If we can help connect our buyers and sellers before a property is released to the public, we are in a win-win situation. I can’t think of a better way to help all of our clients”. For individuals who may not be first time home buyers and who are looking to purchase a higher-end home, you’ll have a few more options. Keep in mind though that with such low inventory, every new listing is receiving multiple showings and offers can start coming in immediately. The East Valley continues to remain one of the top growing communities in America. With continued job and economic growth, the demand for homes will continue. 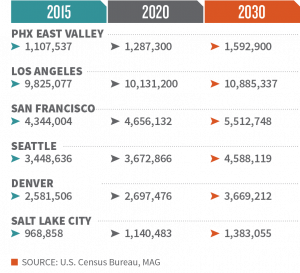 The East Valley is expected to grow by 180,000 people by 2020 and 485,000 people by year 20301. Companies are choosing the East Valley for their businesses because of the amenities it offers to their employees such as great schools, freeway access and shopping. 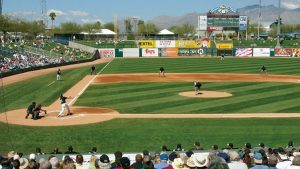 The East Valley hosts over 200 Major League Baseball Games during spring training from 15 different MLB teams, has almost 400 miles of regional paved trails, award winning performing arts and family-centered activities. With 300+ days of sunshine a year, the East Valley is a great place to visit and people recognize it’s an even better place to call home1. If you are interested in buying a home and are concerned about finding the right home or a potential multiple-offer situation, call Cindy. She’s happy to listen to your needs and walk you through the process. Liz is an amazing addition to our team and I so appreciate her sharing this information with our clients. Thank you, Liz, great job!! !